THIS year marks two hugely important centenaries. 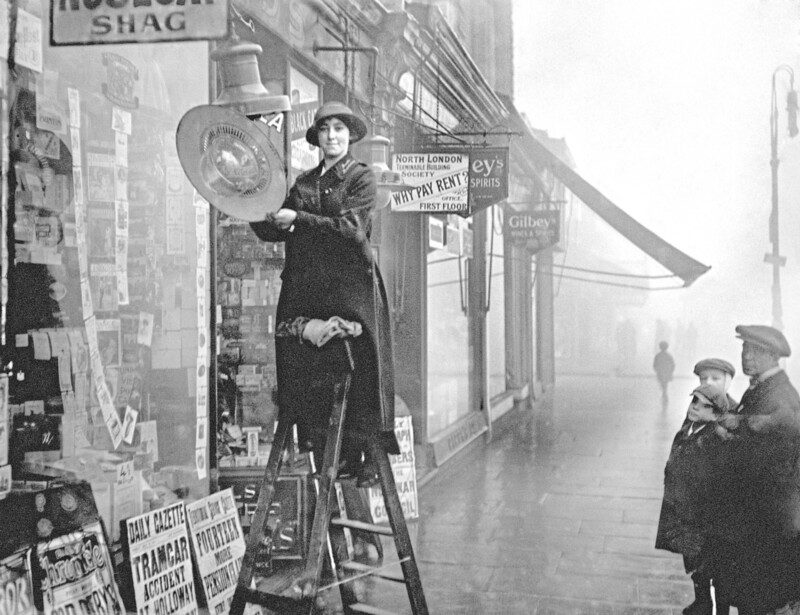 In 1918, not only did the First World War end, but after a long struggle, some women in Great Britain gained the vote. Most link the two — the 1918 Representation of the People Act that extended the franchise to most women over 30 was seen as just reward for the efforts of women in the war effort. With millions of men called up, women did vital work in munitions factories and farms, and in surface jobs in coal mines to name but a few important roles. But while most of us are aware of this contribution, very few know about the female scientists, doctors and engineers whose pioneering work in traditionally male-dominated spheres helped win the war. “This is the strange thing, nobody seems aware,” says Dr Patricia Fara, who lectures in the history of science at Cambridge and wrote A Lab Of One’s Own, which tells the stories of these women and of the suffragists who highlighted their efforts in their campaign to gain the vote. “When I stumbled across these women, I was just astonished that nobody had told their story. When I started researching them, I soon discovered that nobody had written about this small group of very highly-qualified women. 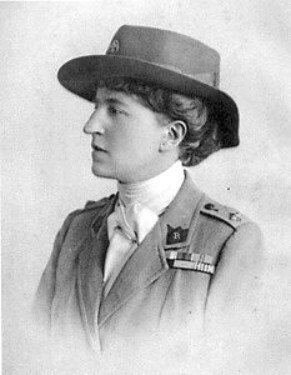 “Lots of books have been written about the women who worked in the munitions factories and drove the buses and did all that vital stuff, and lots have been written about all the scientific inventions that were introduced in the First World War. “But this small group of women seems to have fallen between those two groups. There are some fabulous stories, and I’m sure there is far more information out there waiting to be found. “Cambridge University Library is a copyright library so it has a copy of every book published in the UK. There are millions of books in there. Sometimes I’d go in and order a book from, say, 1915, and I could tell that I was the first person to have looked at it because there wasn’t a sticky label at the front. “It was like they were sitting there waiting for me. “While I was writing the book, I was on In Our Time on Radio 4 with Melvyn Bragg in a programme about Marie Curie. “A man called Viscount Davidson heard it and got in touch with me. His grandfather lived at the same time as Curie. He trained women in using portable X-ray machines, and they then went out to the front. Gleichen, a cousin of George V, spent six months training as a radiographer. Her family even bought a portable X-ray machine powered by a converted Austin. All set for the Western Front, she was told by the British authorities that she couldn’t work there because no women were radiographers. So she set off for Italy instead, and took thousands of X-rays in the battle zone. 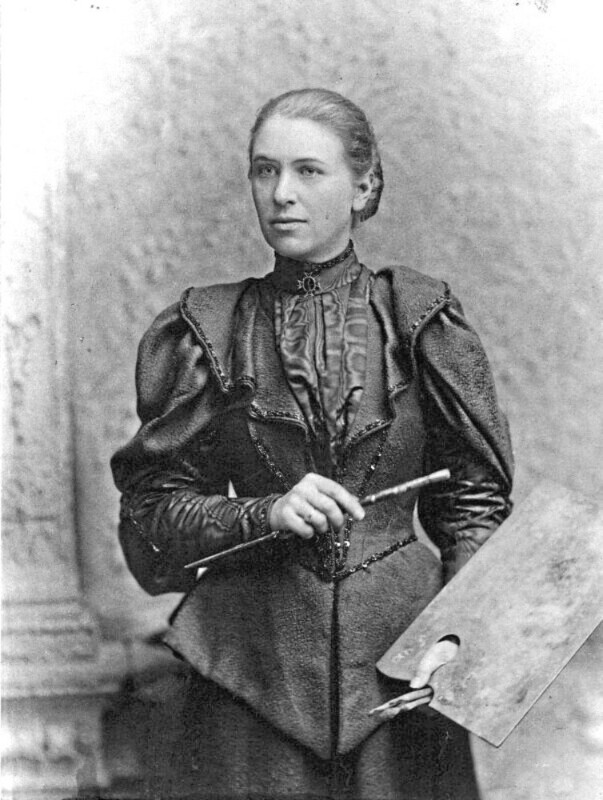 I also liked the tale of Mary Lowndes, a stained-glass artist who had designed promotional material for the suffragists. She founded a free training school for female oxyacetylene welders who were taught professionally by experts from the Amalgamated Society of Engineers. Is the reason we haven’t heard about these woman before due to the fact that, once they’d “done their bit”, the men came back and resumed the pre-war status quo? “The men did come back, the women were squeezed out of their jobs, so you can take a very fatalistic approach and say everything went back to how it was before. But I don’t think that’s true,” insists Dr Fara. “For one thing, everybody — the men and the women — knew now that women were perfectly capable of doing the work. They had really proved themselves. “Also, the government was pouring money into science and engineering because of its importance during the war. “There was a lot of investment, so science was expanding and therefore, there were more scientific positions available. “Also, the population of single women was relatively high. There was something like 11 women to every 10 men after the war. There was a surplus of unmarried women and they had to work. “A lot of them went into teaching, but more and more of them were demanding education. “Things did change after the war. All the men and the women who had effectively been slaves working in mansions and country houses, down in the basement as servants, they never went back. They went into the factories and started earning their own living. Millicent Fawcett, head of the National Union of Women’s Suffrage Societies, was in the headlines recently, when a statue of the leading suffragist — the first of a woman in Parliament Square — was unveiled. And while Dr Fara rightly thinks the battle for equality is far from won, she says: “It was a marvellous, ringing phrase. IT’S important to know that most of Dr Fara’s subjects were suffragists, not suffragettes. Women’s suffrage societies began to appear in the mid-19th Century. Suffragists believed in peaceful, constitutional methods to get the vote, but as the 20th Century dawned without significant progress, a new generation of activists emerged. Willing to take direct, militant action, they became known as the suffragettes. In 1866, a group of women organised a petition demanding women have the same political rights as men, and took it to the MPs Henry Fawcett and John Stuart Mill, who supported universal suffrage. 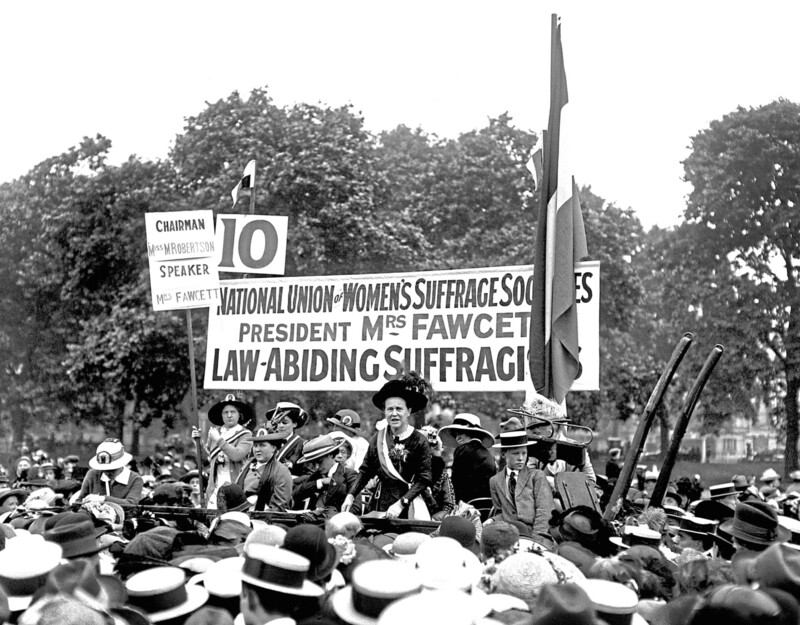 A decade later, a number of groups joined to form the National Union of Women’s Suffrage Societies (NUWSS), led by Millicent Fawcett, Henry’s wife. They adopted a peaceful, non-confrontational approach, but some campaigners became disillusioned. Adopting the motto “Deeds not Words”, they took a more militant approach. In 1913, Emmeline Pankhurst founded the Women’s Social and Political Union (the WPSU), which had many more working-class members than the NUWSS. They chained themselves to railings, disrupted public meetings and damaged property. Most infamously, in 1913, Emily Davison stepped in front of the King’s horse at the Epsom Derby, later dying of her injuries. Suffragettes were imprisoned but would go on hunger strike. They authorities would release them when they became too weak, only to re-arrest them when they recovered. Pankhurst was jailed 11 times. In 1914, both groups stopped their campaigns to support the war effort. A Lab Of One’s Own: Science And Suffrage In The First World War by Dr Patricia Fara, published by Oxford University Press, is available now.